Ever wanted to give up your job, leave your home, bills and clean clothes behind and walk hundreds of miles toward the sunset? Well CAS resident artist Susan Windeatt did just that – Come along and check out her artwork in April. 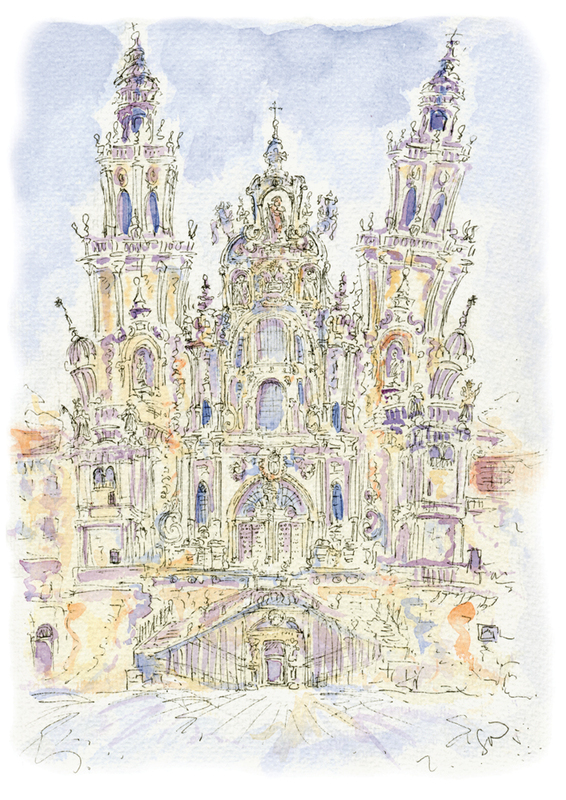 “Postcards from the Camino” features art and photography inspired by travels along the legendary European pilgrimage routes to Santiago de Compostela and the Galician Coast of Spain. Including unqiue watercolour and ink sketches created en-route through France, Spain and Portugal. Now based in Cambridge, Susan works in a variety of media. She originally trained in architecture and computer animation and has produced art for the computer games industry as well as graphics and illustration. Finding herself increasingly drawn to working with traditional media her intricate drawings and watercolour sketches portray a three dimensional and organic view of the landscape and architecture that surrounds her.